AKIPRESS.COM - Millions of Malians are voting in an unprecedented runoff presidential election that has been overshadowed by widespread allegations of fraud and the threat of Islamist extremist violence, the Guardian reports. The current president, Ibrahim Boubacar Keïta, is the favorite, having won 41% of the vote in the first round two weeks ago while the challenger, Soumaïla Cissé, took only 18%. Extra security forces have been deployed after about 250,000 people, 3% of the electorate, were unable to vote because of insecurity during the first round. Armed attacks and other incidents were recorded at about a fifth of polling stations. 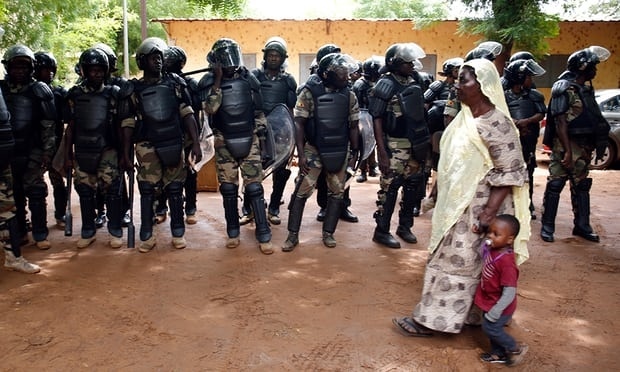 Mali is key in the battle against Islamic extremism in the Sahel region and and is central to efforts to restrict illegal immigration to Europe. French, US and UN troops have been fighting militants in the unstable and impoverished country since 2012 when ethnic and Islamist groups seized swaths of territory and the city of Timbuktu. Government authority is still weak in many places and observers say militants, some linked to al-Qaida and Islamic State, have regrouped since French troops intervened in 2013 to push them back. They have been expanding their influence across Mali’s desert north and into the fertile center.